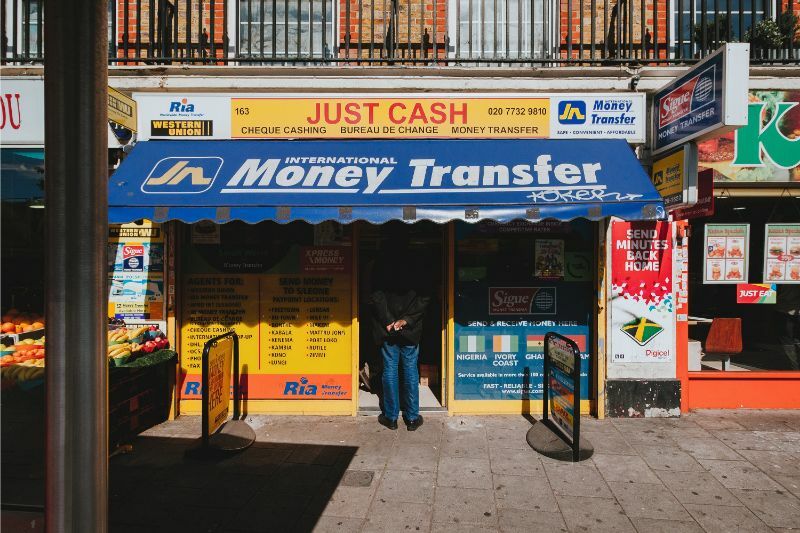 Have you tried transferring money to another country at a bank office? It is such a headache. You will have to pass many hurdles including verifying your identity, filling out forms and facing jargons like SWIFT code, BSB, BIC, and more. I remember my stressful experiences trying to find out what is what. But, you don’t have to get stressful because there is a simpler way. In this post, I will review Xoom, a PayPal service, that allows you to conveniently send money to another country. In the review, I will also share my analysis on customer sentiments toward this online platform. I used data analytics techniques called word cloud and sentiment analysis. You will find how people in general think about Xoom. Then, let’s first start with the basic, what is Xoom? The company was established in 2001 in San Francisco. In 2015, PayPal acquired Xoom for about $1.09 billion. The company grew with its three main products, international money transfer, bill payment, and mobile phone reload. The are all digital that you can use those features entirely on their website or on your mobile app. Of course, these conveniences come with a price. I will talk about their fees in a separate section. The company gained popularity and recognition from diverse sources. According to the Wikipedia page, the firm was cited in a study by Inter-American Dialogue which is a U.S.-based think tank. The institution focuses on international matters that are mainly related to the Western Hemisphere. The group named Xoom as one of the 79 remittance service providers that have the “highest consumer satisfaction ratings in transparency of the fee, transparency of the foreign exchange, and value”. In 2011 and 2012, Wall Street Journal listed their name in their “Next Big Thing List” article that introduced 50 most promising venture-backed companies. The acquisition by PayPal also tells us the prominence of the firm in the industry. The Wikipedia source explains that the acquisition has enabled PayPal to access 1.3 million U.S. customers that sent $7 billion in one year to 23 countries. We’ve just learned about Xoom. Then, why do people use Xoom? What features do people like? As explained, with Xoom, you can send money internationally, reload your mobile phone, or pay your bills. I will start with the international transfer. The fund transfer to another country is Xoom’s primary feature that has attracted many users and allowed the firm to grow. 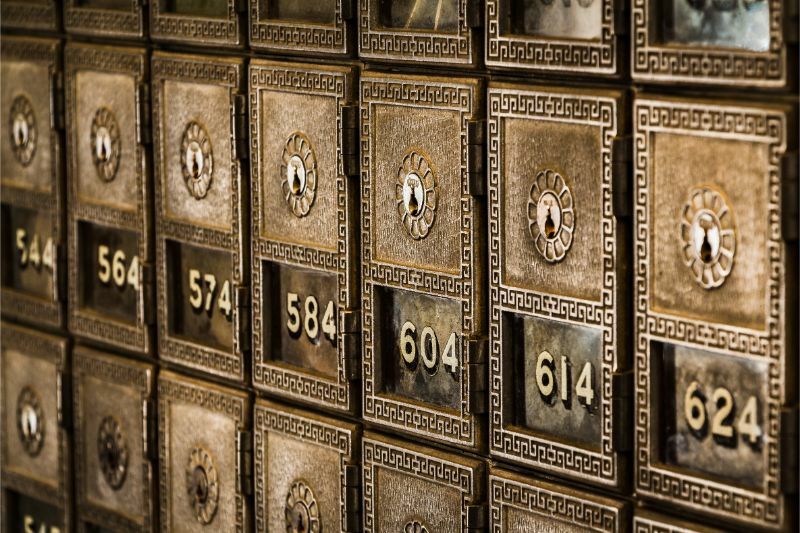 With Xoom, you can transfer to almost any bank account in the world. If you are bored with this, Xoom offers two more ways for transfer. You can use Xoom to send cash to one of the Xoom’s thousands partner locations in the globe. The recipient can visit the location to pick up the transferred money. Even better, you can make your cash delivered to the doorstep of the recipient. I believe that many people would prefer this way because people have a bank account and have access to it using the Internet. It is safe, easy, and the cheapest among the three options if you choose to transfer from your bank to another person’s bank account. Sending money to another bank account by debit card or credit card will incur a charge. Thus, you would be better off with this option. Under this option, you are sending you money to one of the Xoom’s partner locations that are non-financial institutions. When your money arrives at the location, the recipient can collect the money at the partner location. To give you some examples of those locations, they include an exchange store, a news agency, a lottery center, a gift store, and etc. Each store has a maximum amount that it can receive from you. So, you need to check the limit before you send your money. The recipient must hold his or her ID to prove that the person is the rightful recipient. No, I am not talking about Uber or a mail delivered to your house. It is actual cash! In their website, I tried to find details about this option, and I selected dozens of countries to check if I can find this option. Unfortunately. I had no luck. I believe that you can use this option when you are sending to one of the selected few countries. So, please do not expect that you could always use this option for transfer. It will mostly be bank transfer or / and money pick-up options that you can choose. The second main feature in Xoom is to reload your mobile phone using the platform. You can use this feature in countries like Argentina, Bangladesh, Bolivia, Brazil, Vietnam, and many more. This service is not for reloading your mobile phone, but for topping up someone else’s phone. You will have less number of supported countries with the U.S. being excluded as well. When you finish reloading, the recipient will receive a text message saying that the reloaded amount has arrived. Lastly, you can use Xoom to pay your bills. This service supports 9 countries, the smallest compared to money transfer and mobile phone reload. If you are in the U.S. and wanting to pay bills for your loved ones in your home country, you can use this option to pay their bills. You can just select the type of the bill and the company. Put the utility account number and your payment details. These are all you have to do to pay bills. Now that we have discovered the services of Xoom, let’s find out how much the firm charges you per service and amount. The Xoom website tells us what affects the transaction fee. You might be able to choose the currency for the recipient to receive money in one of two currencies. For example, a recipient in Australia may be able to receive money in either USD or AUD. Each selection can change the transaction fee. The best way of knowing your expected fee is to use their Fee Calculator. Go to the page and find Fees and Exchange Rates Calculator. There, you can simulate inputs such as the targetted country and sending amount. Once you put the required values, click “Show Fees” button. It will show you the fees in USD for bank transfer, debit card, and credit card. The bank account transfer will be the cheapest option among the three. The calculator will also show you the fees for pickup. While the online bank account transfer is free, the cash pickup option by bank account will incur some charge although it is still the smallest. For those who have a fear of missing money while sending and receiving, Xoom offers a money-back guarantee. If your money is not received, they will refund the amount in full. If you plan to send over 10,000USD, you need to consider the processing time. Xoom answers that if you send over that amount, Xoom will have to wait for settlement with your bank before actually sending the money. This process can take 2-3 business days on top of the normal Xoom processing time. So, it would be better to plan your transfer in advance for a large amount of money. We’ve gone through the details about Xoom covering from what it is and how we can use it. Then, my next question will be, “how has the market reacted to Xoom?” Do many people love it or hate it? In this section, you will be able to find out how actual users feel about this app. First, I will use word cloud. Have you heard about a word cloud? This funny name is actually a good starter to learn how people describe items, symptoms, policies, and virtually everything else. With a word cloud, you can see specific words in different sizes. The larger it is, the more people used that word to describe it. For you, I will use this fun technique to help you to better understand this product. For this, I extracted around 16,500 customer reviews from Trustpilot. Out of the collected reviews, I aggregated their titles as a big chunky text. My analytics code counted each word and generated the following pretty word cloud for your easy understanding. Can you see the big words at the center? 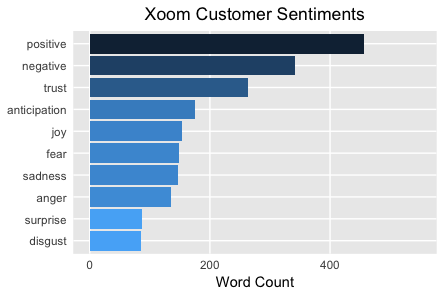 Yes, they are actual words that the customers used to describe Xoom. As explained above, they are big because people more frequently used them. Words like “fast”, “easy”, “excellent service”, “reliable”, “great service”, “quick”, and more are very positive sentiments. 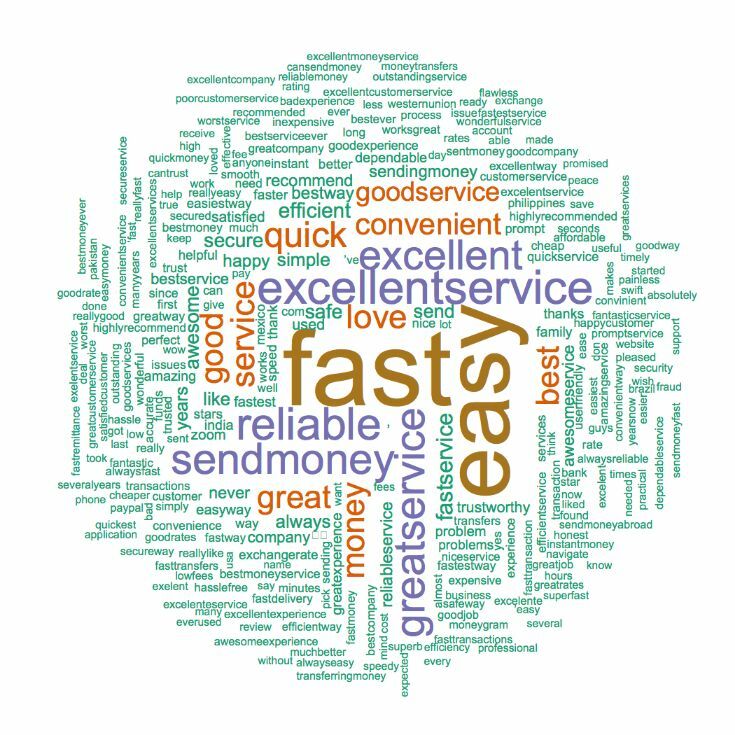 This word cloud can prove that actual users have had a very positive experience with their service. Next, let me share what types of feeling the customer conveyed in their review. As a final analysis, I will show you what specific sentiments people had to un40ku6300. You will be able to see 10 different sentiments such as positive, negative, trust, anticipation, joy, fear, sadness, anger, surprise, and disgust. If you see the chart above, you can see that the positive sentiment takes the largest portion of all sentiments. It’s followed by the negative sentiment. Trust ranked 3rd, followed by anticipation, joy, and fear. The “positive” and other positive sentiments together outrank the rest negative words. As I have researched their services and customer sentiments, the users positive reaction to Xoom supported what Xoom claims on their website. If you are looking for an easy and a smart way to transfer your money to loved ones overseas, Xoom can definitely be a good option.